Rihanna’s new makeup line does not disappoint. 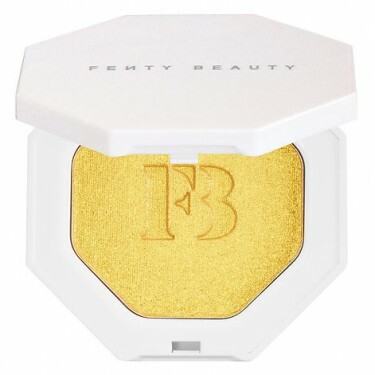 Following a huge launch party in Brooklyn last night, Fenty Beauty by Rihanna went on sale at midnight Pacific Time. Luckily, we got an invite to the launch party, where we tested and played with everything ahead of time (watch it all go down here), taking a few select products back to the office to try immediately. Yes, it was about 9pm at night, but who could contain themselves after the most freakout-worthy makeup launch we can remember? 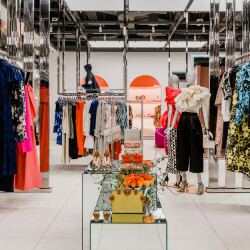 Like any celebrity line, there is bound to be doubt—some A-lister launches have left us underwhelmed in the past—but RiRi showed us just how high she sets the bar by launching a huge and high-quality collection that we are totally in love with. 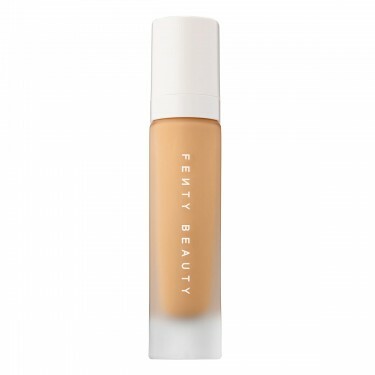 It includes a 40-shade liquid foundation range; four highlighter duos, plus two highlighter singles; 30 shades of stick cream that contour, conceal, and highlight; a mattifying powder and a roll of blotting sheets; and one single lip gloss shade that will make everyone fall back in love with glossy lips. And that’s not everything. Out of everything we got to play with, below are the three top picks worthy of waiting till midnight. As expected, it’s all amazing. And, yes, I am a Rihanna fan, but this is for real legit. I absolutely love the lip gloss. It’s super smooth and not sticky. 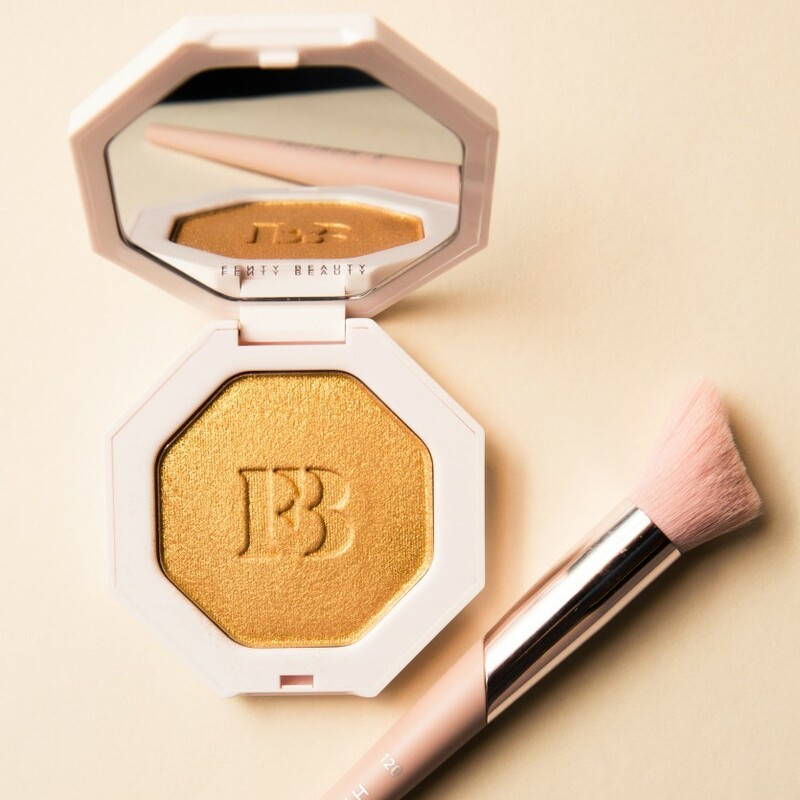 But if I could only have one thing it would be the magical Trophy Wife Highlighter. 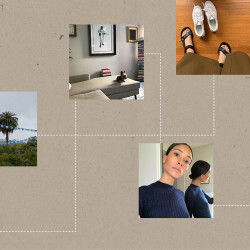 The sparkle is really pretty—it’s actually a mood-lifter. You put this on and wherever you’re going, you’re owning the night. I actually use a to-go brush daily, even at home, because I like a compact brush and it’s easier storage, so I would totally use the small brushes. I’m also really into the magnet situation—the travel-size brushes actually stick together. I was pleasantly surprised because of all the hype. I didn’t want to be let down, but I was not! Out of everything, I would steal the foundation because the coverage is so amazing and it would cover up any blemishes or flaws I may have. I don’t know right now how long it lasts, but I also love the blotting papers and the old-school case for them. 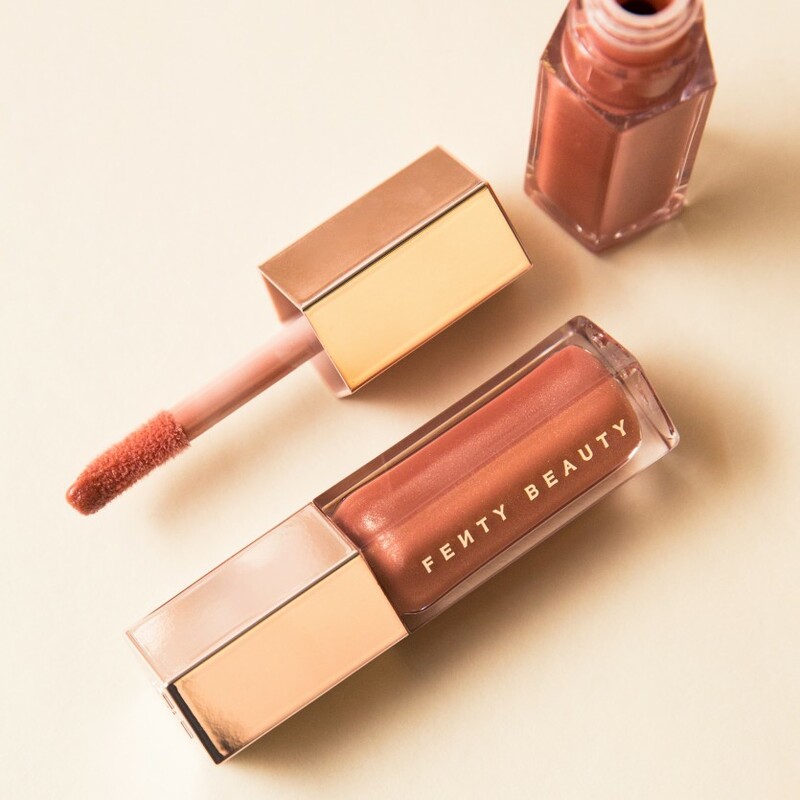 To be perfectly honest, I would steal the foundation first and then the Trophy Wife Highlighter, but because those have already been taken by Sam and Leah, and we all agree we loved the lip gloss, I’m going to take the Gloss Bomb. 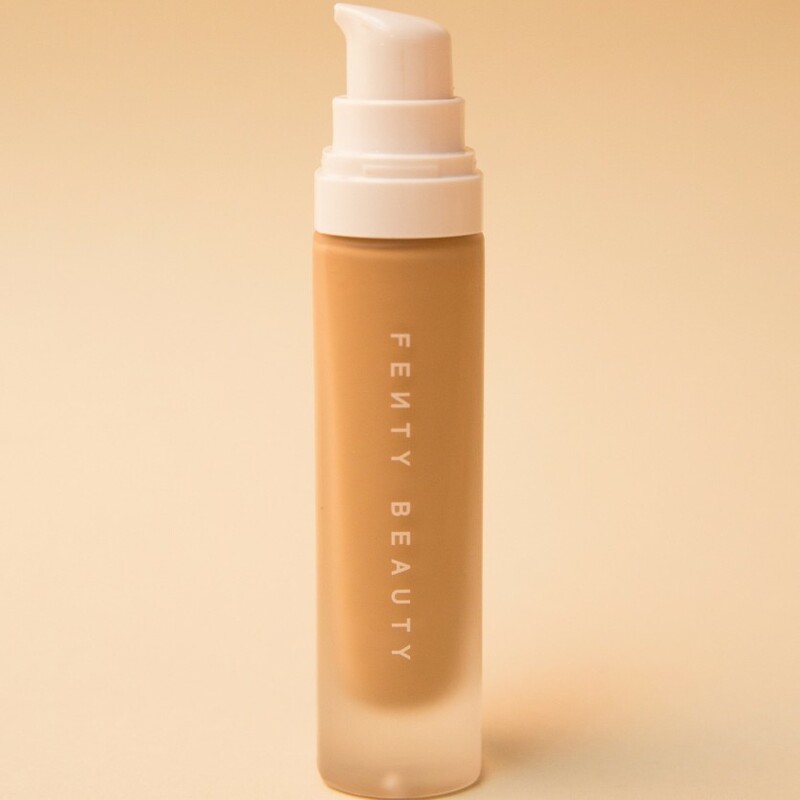 Rihanna made only one single shade, but it somehow works on everyone, as exhibited in the campaign Rihanna put on her Instagram with a gang of gorgeous models of every skin tone. The gloss also smells like what we *think* is grapefruit, though I also think it could be pina colada. Whatever it is, the gloss is fit for cocktails and definitely for a selfie.